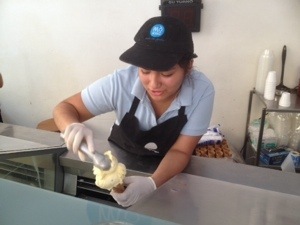 So goes the cry of the ice cream salesmen who walk through the streets, parks, and sporting venues, selling their wares. 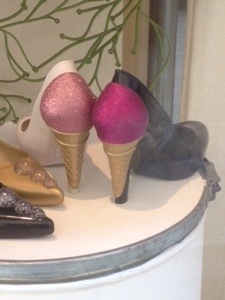 And Chileans love their ice cream, in any form (even shoes?). I mean, who doesn’t? But, even in the heart of winter, you can often see people walking down the street with some form of ice cream. 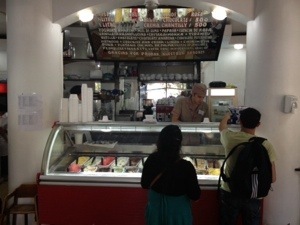 I am fortunate (or unfortunate, depending from which perspective you look at it), to have three very good “heladerias” or ice cream parlours within a couple of blocks of my house. 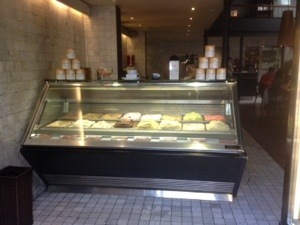 The most famous is Emporio La Rosa, which boasts being voted in the World’s Top 25 ice cream parlours. 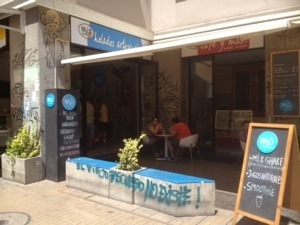 Their original, corner location is opposite Parque Forestal, offering the perfect place to find a shady spot to enjoy your ice cream, or take a seat in their nice outdoor seating area. 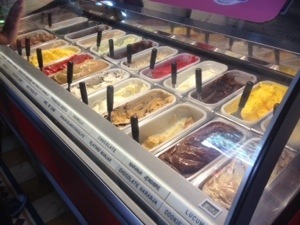 There are now several locations around Santiago, and they offer some interesting flavours. My favourite for a refreshing lift on a hot day is “lemon, basil and mint”, or for a bigger flavour punch, “raspberry and mint”. 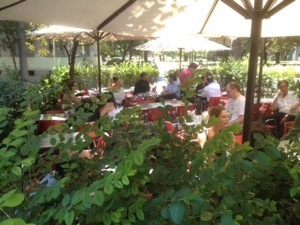 Just around the block is Café del Opera, also a popular spot with a good following. I haven’t tried it personally, but I’m told it’s faithful to its Italian heritage, with delicious gelato flavours in both traditional and localised flavours. 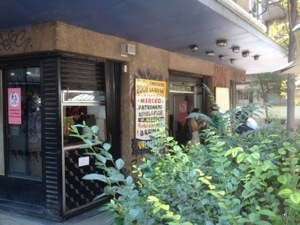 Another favourite is Mo, close by on the corner of Mosqueto and Monjitas, a good place to head when the line at Emporio La Rosa is too long (most hot weekends) or just for a change. 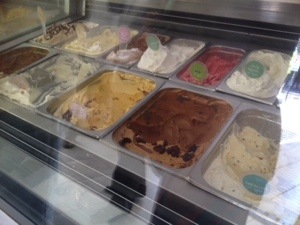 My favourite flavour here is the “Passionfruit Pie”, for when I’m really looking to treat myself! Yes, that’s a small size! 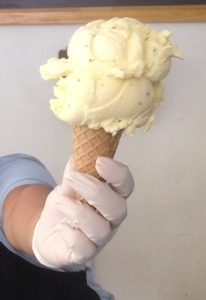 So, especially at this time of year, ice cream definitely makes my list of things to love about living in Chile.